Looking back on my time writing about sports in Portland, there is one story that continues to resonate as a personal favorite — Luis Tiant and his time with the Portland Beavers. For those Boston Red Sox die hards out there, the name is simply as legendary as the memorable delivery from the pitcher who hailed from Cuba, spent 19 seasons in the majors and was generous enough to jump on a phone call with me back in 2010 for a piece I was working on for The Oregonian. It was a bitter sweet assignment. Here I was interviewing the Red Sox icon who shared these amazing memories about an intriguing chapter of his story that happened to take place with the Portland Beavers in 1981. Meanwhile, the Beavers were closing a chapter of their own in Portland as the Triple A affiliate for the San Diego Padres in the Pacific Coast League. Sadly enough, the story on Tiant and his time pitching in Portland ran on the same day the Beavers played their last game in the city that featured 95 years of rich baseball history. When Luis Tiant stepped off the plane at Portland International Airport in the spring of 1981, David Hersh didn’t know whether he should laugh or cry about the arrival of his new Portland Beavers pitcher. Within minutes he did a little of both. “Luis came in off the plane after the press conference with a box of cigars,” recalled Hersh, who was 25 at the time and the youngest owner in Triple-A baseball history. At a hefty 6-foot-1, Tiant was the same barrel-chested pitcher whose unique delivery and signature moustache made him one of the most beloved players in Boston Red Sox history. The player who had fled his native Marianao, Cuba, at 18 to pitch for the Mexico City Tigers in 1959 remained ever a prankster at 40. And he sure loved his cigars. “I’d have a cigar after the game — especially if I was winning. It was a ‘victory cigar,'” said Tiant (he was 69-years old at the time and was living in Milton, Mass). After winning 229 games and battling injuries over parts of 19 major league seasons, many assumed Tiant was washed up. But the pitcher whose famed windup momentarily coiled his head toward centerfield wasn’t ready to turn away from the game for good. A smooth-talking Philadelphia native, Hersh had purchased the Beavers in 1979 for $256,000 with nothing left to his name but $500 and a second-place Pittsburgh Pirates farm club that drew less than 100,000 fans at Civic Stadium in the Pacific Coast League. That’s when Hersh learned a lesson about baseball in Portland that would repeat itself. His long list of promotions included an exhibition contest with the Pittsburgh Pirates, where Willie Stargell’s pre-game homerun landed on the balcony of Multnomah Athletic Club. For Hersh, Tiant was the best gate attraction money could buy. 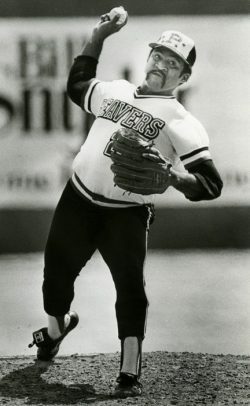 By adding a marquee name such as Tiant, the Beavers also re-introduced fans to a part of baseball history in Portland. Tiant first pitched for the Beavers — then a Cleveland affiliate with a staff that included Sam McDowell and Tommy John — in 1964 after spending his first year the States in South Carolina with Charleston of the Eastern League. By July 1964, Tiant reached the majors with Cleveland after going 15-1 with a 2.04 earned run average with the Beavers. But even reality hits hard in the majors: Tiant was traded and eventually released from the Minnesota Twins in 1970 after fracturing his right scapula and kicked around the minors with Richmond and Louisville, before signing with the Boston Red Sox in 1971. Dubbed “El Tiante” by the Fenway faithful, he beat the Cincinnati Reds twice in the 1975 World Series and posted a 122-81 record in eight years before jumping to the New York Yankees via free agency in 1979. But in 1981, no one came to see major league baseball. A strike and lockout plagued the game and Hersh jumped at the chance to sign the free-agent Tiant to a Beavers team comprised of future major league talent. It all came down to money. “We were paying $250,000 for a pitcher and that’s about as much as we paid for the franchise,” Hersh said. Even with his 11 investors, Hersh paid for Tiant by recruiting an additional partner for the franchise — David Lander, who played Squiggy on the ’70s and ’80s sitcom, “Laverne & Shirley.” If Tiant drew well at the gate, the Beavers thought they’d earn back their money. Instead, the three-time All-Star got shelled on opening night against the Edmonton Trappers in front of a paltry 4,750 fans. But once Portland hit the road, people packed the parks to see Tiant. And he didn’t disappoint. 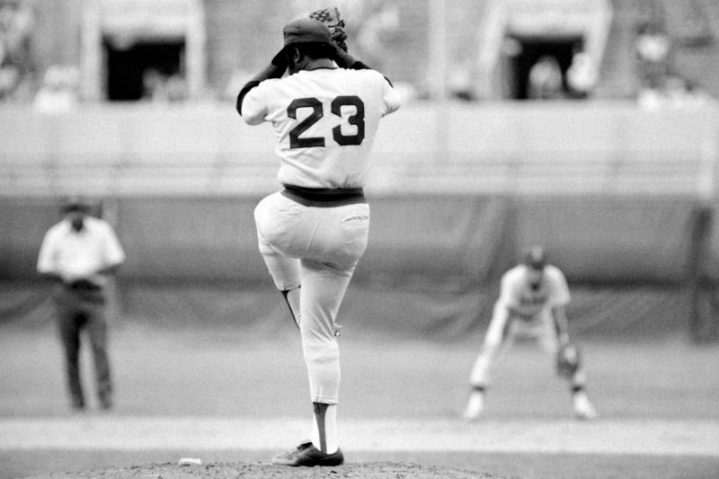 On April 17, Tiant threw a no-hitter at Spokane and a week later on Aug. 23 came within one out of throwing another no-hitter against the same team at Civic Stadium. With that, Tiant’s baseball story came full circle in Portland. Tiant finished 13-7 as the Beavers went 72-65 in the PCL and Hersh — who later was hired to be in charge of player development for George Steinbrenner’s New York Yankees — willingly let Tiant out of his contract. The iconic player who went from the Beavers to the majors as a rookie 17 years earlier did so one last time, signing with the Pirates and appearing in nine games that season. The next season, he concluded his storied career with the California Angels. “This was my passion. It wasn’t going to be easy. I learned that a long time ago,” said Tiant, whom is an avid golfer and still smokes a cigar a day — maybe two.